Hollywood’s getting a little better at telling stories that incorporate more diverse perspectives, with women and people of color getting more opportunities both in front of the camera and behind it. While that kind of representation is important in superhero films, action flicks, and comedies, it’s essential when you’re telling historical stories. In its reflection on Christopher Nolan’s critically acclaimed Dunkirk, a Guardian essay from author Sunny Singh argues that the film’s lack of diversity hurts not just the movie but also the history upon which it shines a light. Singh’s argument takes on an added dimension in her assertion that “more than history books and school lessons, popular culture shapes and informs our imagination not only of the past, but of our present and future.” A film like Dunkirk, she argues, has a moral responsibility to accurately depict those who were integral to pivotal events in human history. If the film is screened for educational purposes in classrooms, an essential part of the battle will continue to be distorted in the minds of the next generation. For Singh, this paints a false, and potentially dangerous, portrait. Could we still see our neighbours as less than human if we also saw them fight shoulder-to-shoulder with “our boys” in the “good” war? Would we call those fleeing war “cockroaches” and demand gunboats to stop them from reaching our white cliffs if we knew they had died for the freedoms we hold so dear? More importantly, would anti-immigration sentiment be so easy to weaponise, even by the left – in the past and the present – if the decent, hardworking Britons knew and recognised how much of their lives, safety and prosperity are results of non-British sacrifices? 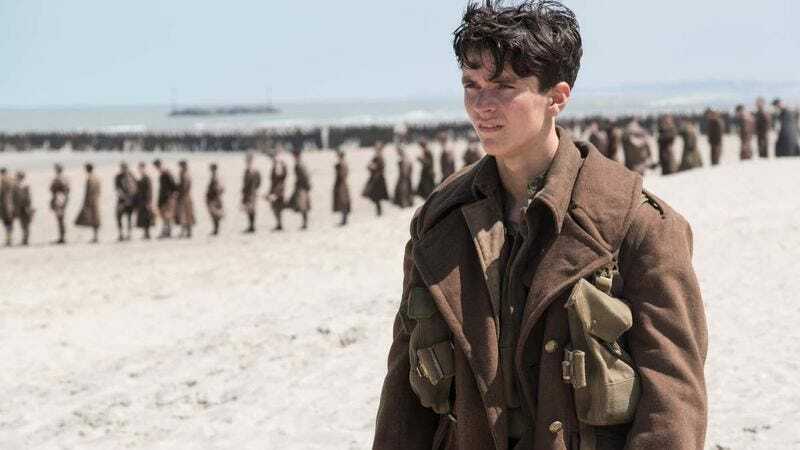 In a deeply divided, fearful Britain, Nolan’s directorial choices succeed as a Brexiteer costume fantasy, but they fail to tell the story of Operation Dynamo, the war, and Britain. More importantly, they fail us all, as people and a nation. Obviously, one can still enjoy Dunkirk as a film, as it’s undoubtedly a great one. But one could argue that pop culture carries more currency now than it ever has; it’s the responsibility of storytellers to embrace not just the concept of diversity but also the reality of it.